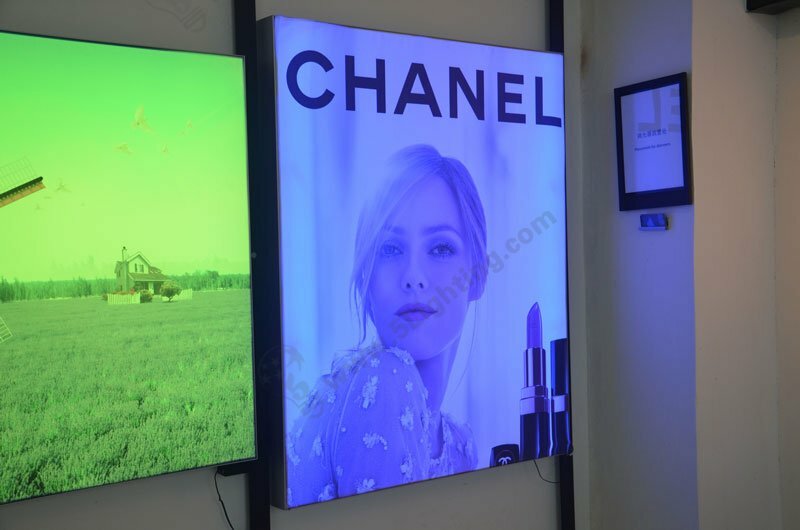 If you need to build up a large RGB colorful fabric light box display, our 90 mm aluminum frame is a good choice . The installing way can be : ceiling hanging / wall mounted / free standing . 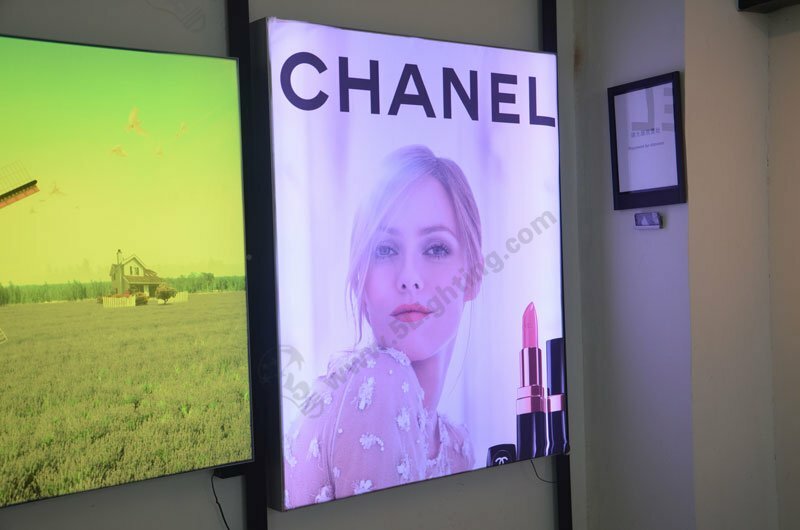 RGB light boxes can make frabric graphic colorful and lighting effect changeable with remote controller . Good quality anodized aluminum frames are designed in light weight but study material . They can be quick disassembly and assembly, portable, cost-effective . No tool requires , knock-down installation type in 10 minutes . 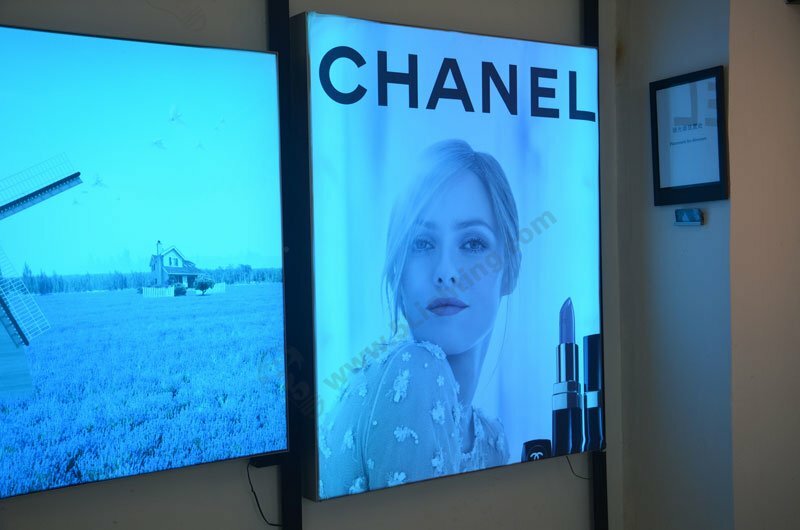 If it’s double sides lightbox type, we’ll apply two faces of printing fabric graphics . Very easy for uninstalling after exhibition / expo event is closed . 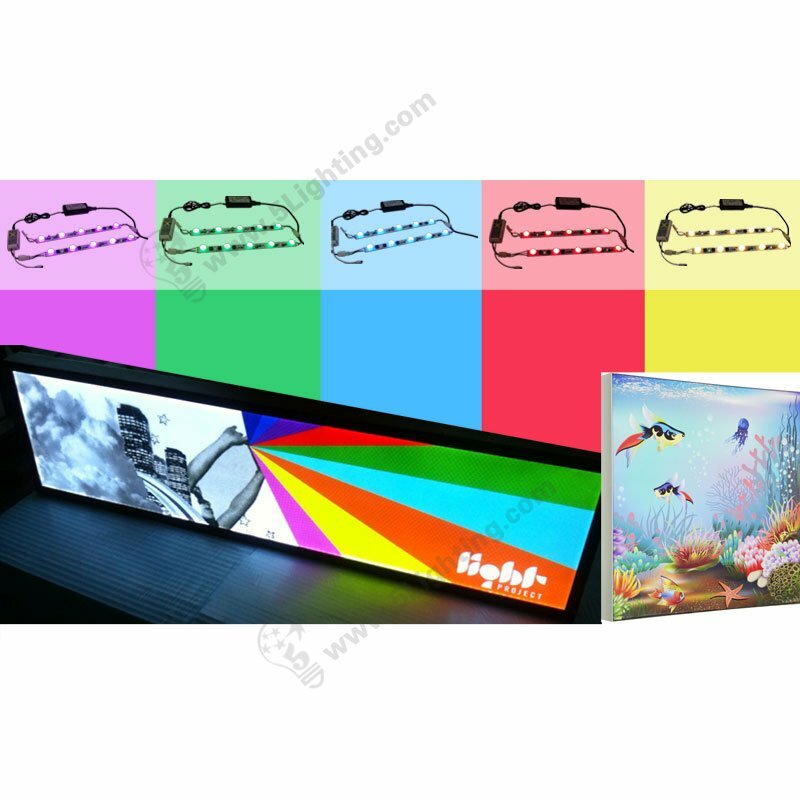 Zero maintenance necessary for our RGB light boxes kits , 30, 000 hours life span .